Both the public and the critics agree that the Ferrari 458 Italia deserve a standing ovation. It has received a number of awards, namely “Supercar of the Year” by the BBC Top Gear Magazine, “Car of the Year” by the Robb Report, and the list goes on. With its unique, all-time beautiful red, the Ferrari offers us the look and feel of elegance. Perfected by the best quality of trimmed leather, the interiors are styled with the elegant all-black color with hints of intuitive reds. However modern the black interior is, Ferrari never leaves its classic touch. The aluminium central pad on the steering wheel leaves a feel of classic that soften the overall bold look. Not only that it has the exterior that wows everyone including the Miami luxury car rental members, the engine has the same wow factors as the appearance does. Being rewarded with “Best Performance Engine” and “Best Engine Above 4 Litres” by the International Engine of the Year Awards, you would never doubt this Ferrari 458 Italia. It is a V8 super car with 419 kW of maximum power, or equal to an approximate 9000 rpm drive. This Italian has the ability to reach a 202 mph of top speed or around 325 km/h and little above that. Its acceleration is as fast as 3.4 s per 100km/h. 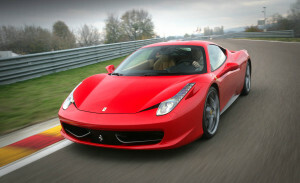 This powerful Ferrari 458 Italia consumes 13.3 litres of gas per 100 km and emit 307 g of CO2 per kilometer drive. Handled with care by the Miami luxury car rental team, the Ferrari 458 Italia is one that will always leave your day with satisfaction.